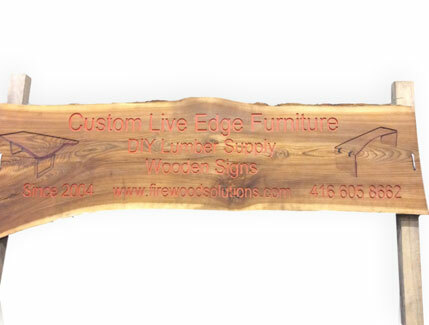 Signage can be made more interesting and can stand out when done on Live Edge Wood. 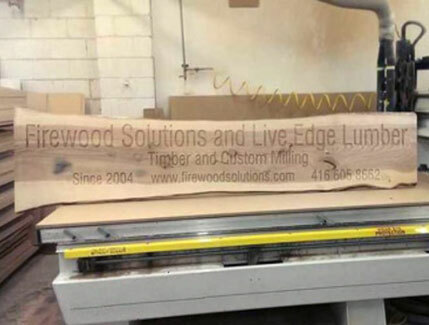 These Signs stand the test of time and look great since they are not mass produced. You can bet your business competition doesn’t have one..! (Or your neighbor..!) They are unique in their grain and figuring. These Signs are done to precision and can be done to your choice of color/lettering etc. Below are some of the Signs we did. You could use this as a reference when deciding what you want to get done. Simply provide us some artwork and we can go from there..!